When you’re looking to hire a charter bus rental in DC, it could be for school field trip, church outing, family reunion, or simply a tour with you and a number of friends. 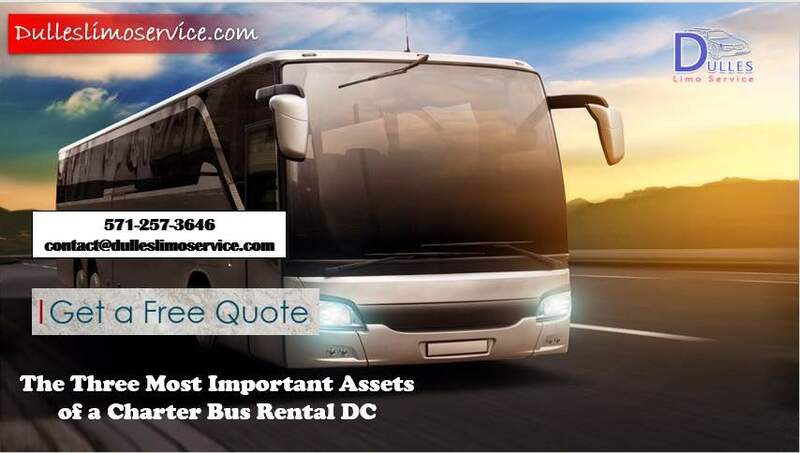 Whatever the case may be, there are a number of assets when you begin looking into a charter bus rental in DC. Below are three you might want to consider. When you don’t have to worry about driving, you can sit back and relax. You want to make sure everyone on that charter is safe at all times. Only the best, most experienced companies are going to place safety and reliability as their top priorities. That means they will hire only the safest, most experienced drivers, put them through safe driver training, and drug test them consistently. Limo service Dulles will also maintain a large fleet of limos and buses that are all considered late-model and are impeccably well-maintained. A quality charter bus rental in DC should have drivers who are highly experienced and knowledgeable about the area. They can highlight places you want to visit, offer some history, and even answer questions you or other people on that bus have about Washington, DC. When you calculate in the cost of a charter bus rental in DC among everyone who will be riding in those buses, you realize just how affordable it can be. Not only will everyone be able to relax and enjoy the comfort of a late model coach bus, they can enjoy the sights, spend time with friends, watch a video on the DVD player, play games with one another, or interact with the driver. When you realize all of these assets to relying on a quality charter bus rental in DC. You’ll want to get right on the phone with the best one out there.